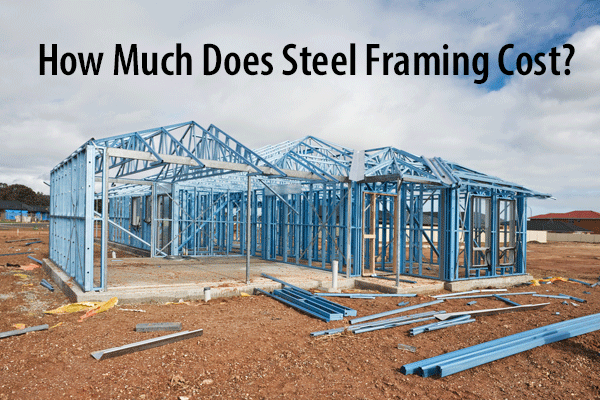 The average cost of steel framing for a house is between $9.50 and $11 per square foot for materials. 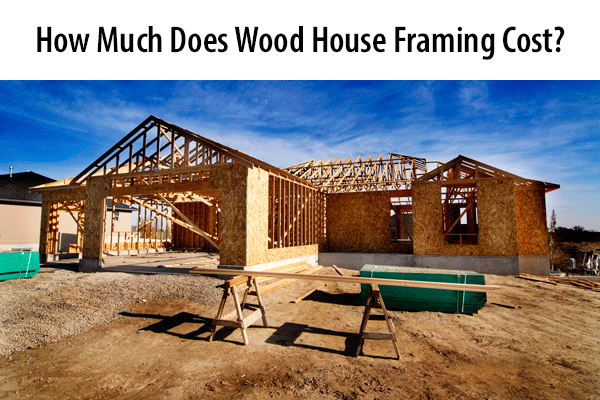 Lumber costs fluctuate, but the cost of wood framing a house averages between $1 and $5 per square foot. Whether it is a steel frame or a wood frame, costs depend on the size of the home, difficulty of the labor, current price of materials, and the contractor you hire. That being said, you can expect to pay more when steel framing a home due to higher material costs and the difficulty of labor. A steel frame house has an average cost between $9.50 and $11 per square foot, meaning the total cost for a 2,000 square foot home falls between $19,000 and $22,000. Labor costs for steel framing average around $3 per square foot. A wood frame house has an average cost between $1 and $5 per square foot, with overages between 15 and 20 percent waste. A 2,000 square foot home has an average cost between $6,000 and $12,000 in materials, with labor averaging around $1.50. For sheathing, expect to pay between an additional 15 and 22 percent of the material costs. 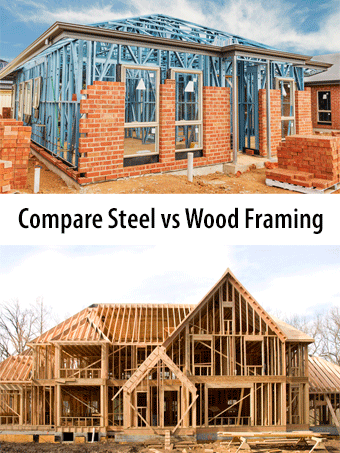 It is important to compare costs between steel and wood framing before you make your decision. Beyond basic price points, you need to consider the short-term and long-term costs associated with both. Short-term costs: The cost of steel framing is significantly higher than wood framing. Steel frames require special tools and supplies, not to mention the fact that some contractors charge more purely for working with metal, since it is not as commonly used. Wood frames, on the other hand, are less expensive both for materials and labor, with just about any housing contractor being familiar with the installation process. Long-term costs: Most people don't think about the infrastructure of their home when they think about maintenance, but there are certain factors that can lead to savings or additional costs overtime. Steel frames generally have lower insurance fees in some areas, but come with the worry of rust, increased cooling and heating costs, and more intensive labor when modifying the home. Wood frames make it easy to modify your home, but you also have to worry about weather damage, pests, mold, warping, and rot. Steel house frames come with benefits and drawbacks. It is important to fully consider both before making your decision. Durability: Steel does not warp over time and is not subject to rot. This leaves your floors, roofline, and walls as straight as the day they were built. Steel also does not come with the same worry of insect and pest damage. Non-combustible: A big advantage to steel frames over wood frames is the combustibility factor. Steel is not combustible, and some building and fire codes actually require steel frames. Strength: Steel offers more strength than wood does, which means it stands up to natural disasters better. This also benefits you when it comes to insurance, as steel-framed buildings often have lower insurance costs. Cost: Steel framing comes at a significantly higher cost than wood framing, which leads many to choose wood purely because it is more affordable. Insulation: In comparison to wood, steel has a much lower R-value (insulating capacity) which can increase cooling and heating costs. Rust: While steel does not have the same problems with rot or warping as wood, steel can still rust over time. Wood house frames also come with a set of advantages and disadvantages that are important to consider before making your final decision. Commonality: Wood is a more commonly used material and most contractors are more familiar with wood than steel. This gives you a wider range of contractors to choose from. Cost: Wood is definitely a cheaper material than steel. It also offers lower labor costs, because more professionals have experience with wood than metal. Maintenance: Wood has more long-term worries than steel does when it comes to maintenance. Moisture damage, rot, and warping are all things you need to be on the lookout for over the life of a wood house frame. Wood frames are also more susceptible to insects and other pests that can cause structural damage. Studs: Wooden studs are often difficult to install, requiring multiple tools to properly secure them. While an experienced, professional contractor should be able to put in wooden studs without issue, improperly installed wooden studs can cause major problems. Do You Need a Framing Pro Near You?